On electrical drives and servomotors, the precise acquisi tion of the rotor position for the control of the motor plays a crucial role. Currently, optical sensors are primarily used for this task; in critical application environments these sensors have significant disadvantages. Oil, water and dust significantly degrade the measurements. This is not the case with magnetic sensors: due to its sensing princi ple,the scanning unit can be fully encapsulated. This fea ture makes it particularly robust and insensitive to soiling in the measuring space. The metal measuring scales are also extremely robust and are resilient to even heavy me chanical shocks and vibration. Up to now magnetic absolute rotary encoders have been predominantly available on the market as rotary encoders with integrated bearings. Above all the bearings used define the service life of these systems, as the selection of the bearing is dependent on the mechanical load, the op erating temperature (grease selection) and the speed range. However, these aspects are heavily dependent on the application. 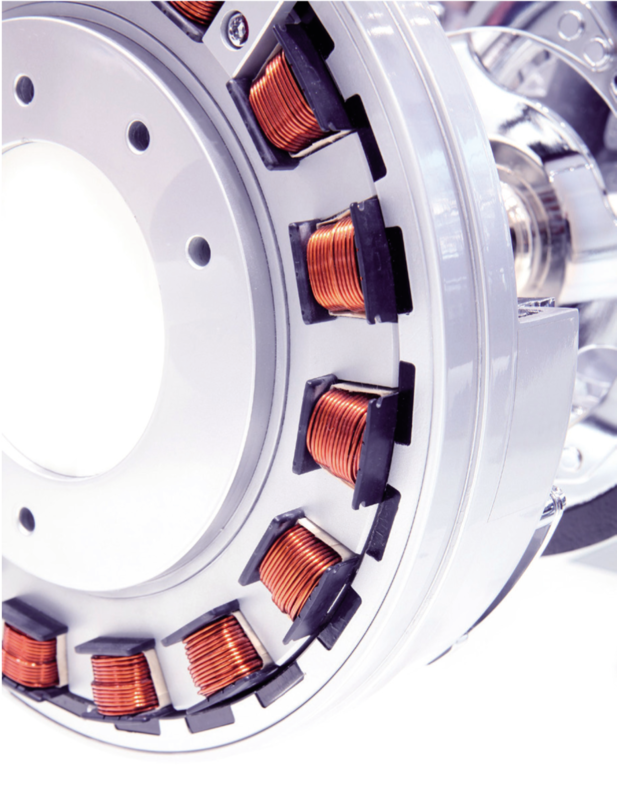 For years there has been a trend in many sectors of indus try to torque motors and high performance drives. Im proved dynamic performance and precision, low wear and the compact design are the main reasons for this development. Such drives are primarily used in harsh industrial environments - an ideal application area for magnetic sensors. The direct drives have diameters of up to a metre. In par ticular in hollow shaft drives, considerable effort is re quired to adapt rotary encoders with integrated bearings to the diameter of the shaft in the related drive system. The large amount of heat produced by the direct drives also places high requirements on the rotary encoder's bearings. This situation results in increased application effort that is of considerable disadvantage particularly in times of high levels of competition and rapid product changes. Against this background, Lenord + Bauer developed an absolutely measuring encoder kit system. 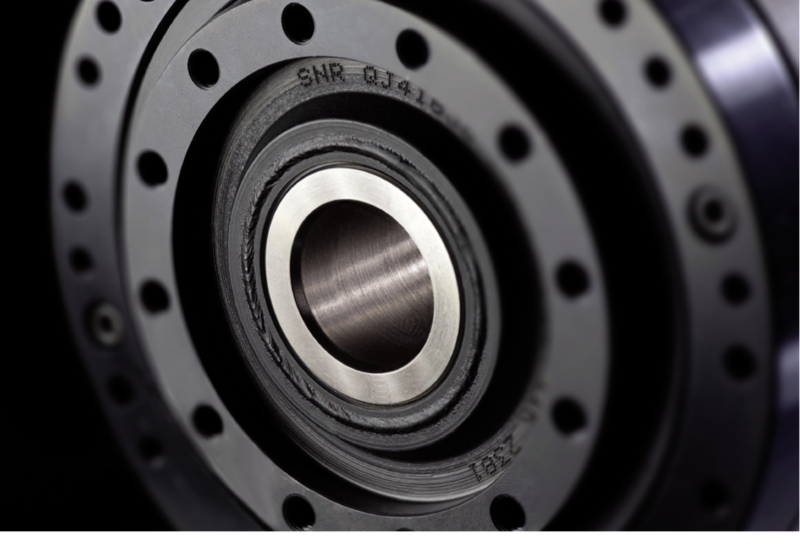 It does not re quire an integrated bearing and its measuring scale can be flexibly adapted to the shaft diameter. 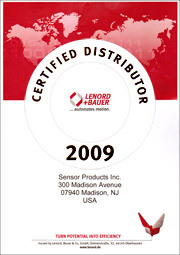 Lenord + Bauer al ready has many years of experience in this area. The Mini CODER is a prime example of the successful usage of en- coder kits in highly dynamic systems such as high-speed spindles. Here the contactless encoder kit principle can exploit its advantages to the full due to the compact design, the rota tional speed measurement without bearings and the flexi ble design of the measuring scale. Scanning unit and measuring scale do come together until they are finally installed in the application, for example on the drive. Giv en careful design with precise mechanical components, these systems achieve high overall accuracy. The new ab solute encoder kit system is small, flexible, scalable and cost-effective. The new measuring unit comprises a magnetic absolute single turn encoder kit and a ferromagnetic measuring scale. The encoder system calculates the absolute position via a vernier evaluation. The absolute rotary encoders with integrated bearings from Lenord + Bauer are also based on this principle. For this evaluation, two-track measuring scales with different numbers of teeth or pulse counts are required. The giant magneto-resistive (GMR) sensors scan these two tracks contactlessly and provide corresponding sinusoidal signals. The phase position of the two sinusoidal signals in relation to each other is evaluated based on the vernier principle. The phase position is unambiguous within one turn and in this way the system calculates the absolute position with high resolution. The absolute position is available immediately after switch on. The GMR sensors are designed such that the characteristic is very linear over a wide range. In combination with a high accuracy measuring scale, the integrated geometric harmonic filtering generates particularly low distortion sine and cosine signals. The resistance of the elements is also extremely low to ensure good EMC characteristics. With these measures the system achieves accuracies of 12 to 14 bits. The signals generated are evaluated in an ASIC developed in-house. Up to now it was only possible to evaluate measuring scales with binary number of segments (8/7, 16/15, 32/31). Due to the new vernier ASIC, almost stepless design of the measuring scale is achieved. As a result the new system can be scaled flexibly and adapted to the shaft diameter without major effort. be flexibly adapted to any drive. Absolute encoder kits are ideally suited to the acquisition and feedback of the absolute rotor position to the motor control system. With the new MiniCODER, Lenord + Bauer is setting standards in absolute magnetic kit measuring systems. The design without bearings is extremely long-lived and acquires the absolute position at rotational speeds up to 20,000 min-1. As such the new encoder kit can also be used in highly dynamic drives. Dust, humidity and oil do not affect the magnetic measuring system. This feature makes the MiniCODER a specialist for harsh industrial environments. Due to the modular construction the system covers a wide range of shaft diameters, which significantly simplifies adaptation to the motor. The MiniCODER provides unambiguous position values at any angular position via an SSI or BISS interface. There is also an incremental signal for the rotational speed measurement. The absolute position is available immediately after switch on, which makes a reference search routines unnecessary. Furthermore, the encoder kit undertakes a self-calibration; in this way the measuring system is also robust in relation to mechanical tolerances. diameters from 20 to 500 mm reliably and with high accuracy. 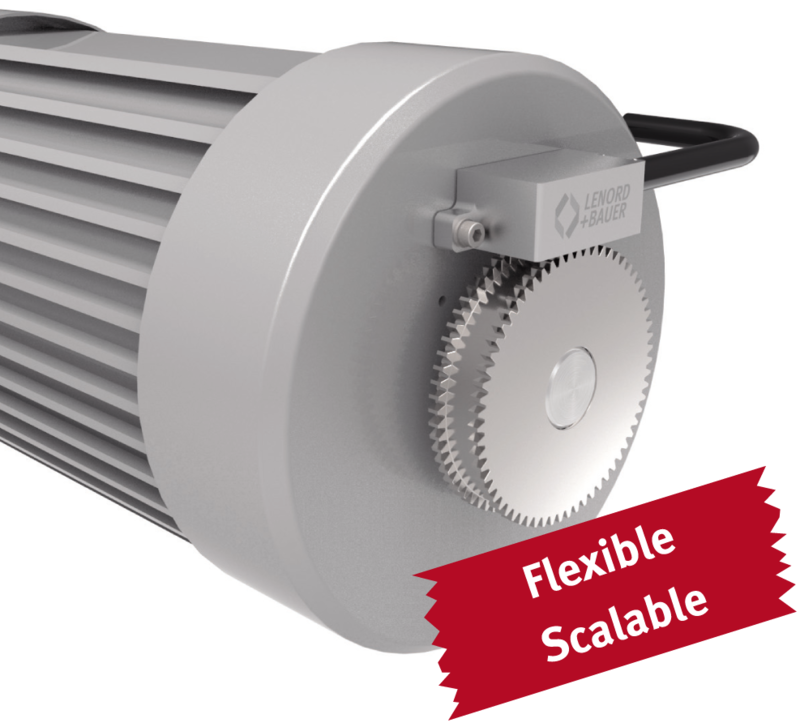 The flexibility of the encoder system permits rapid adaptation to changing operating conditions, and that with little effort. Without major printed circuit board modifications or high initial effort, the encoder system can be integrated into the required application by adapting the measuring scale. 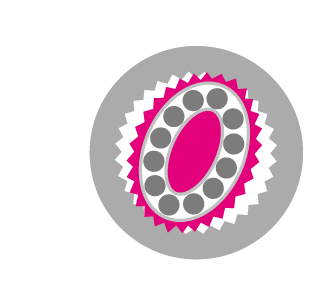 The robust target wheel made of ferromagnetic steel is mounted directly on the drive shaft without an integrated bearing. As standard the new GMR sensors evaluate target wheels with modules 1 and 2. However, larger modules are also not a problem for the new system. They also deliver interpolated signals with high accuracy in case of an extended length tooth period. This feature makes the overall system particularly flexible. Due to the modular construction of the system, one sensor can be used for different target wheel sizes. Shaft diameters from 20 mm to 500 mm can be realised. The inside diameter can be varied for the same outside diameter of the measuring scale. Particularly for manufacturers of customer-specific drives, component management is significantly simplified. + Bauer make integration in different sizes particularly easy. To be able to trade successfully on the global market, industrial organisations are demanding ever more compact and economical machinery and plants. The manufacturers of drive systems are also subject to this pressure. As the drive technology and the control system technology in particular have a significant affect on the investment costs for the operating company. However, the performance of a machine is also defined to a significant degree by these core components. The trend in drive technology is toward space and weightsaving, highly geared down and therefore compact products. Today the demand is for compact and economical drive solutions, comprising gear, motor, control system and instrumentation. This demand is placing new challenges on businesses. Here Harmonic Drive AG, as a provider of drive systems and play-free gears, is treading new ground. In the digital AC hollow shaft drives of its CHA series, Harmonic Drive AG combines precise gears with highly dynamic AC motors. These precision servo drives are used for positioning in demanding industrial applications that require accuracy, compactness and high torque. In relation to the sensor technology, this means the technology must supply highly precise, absolute position values and be flexible. 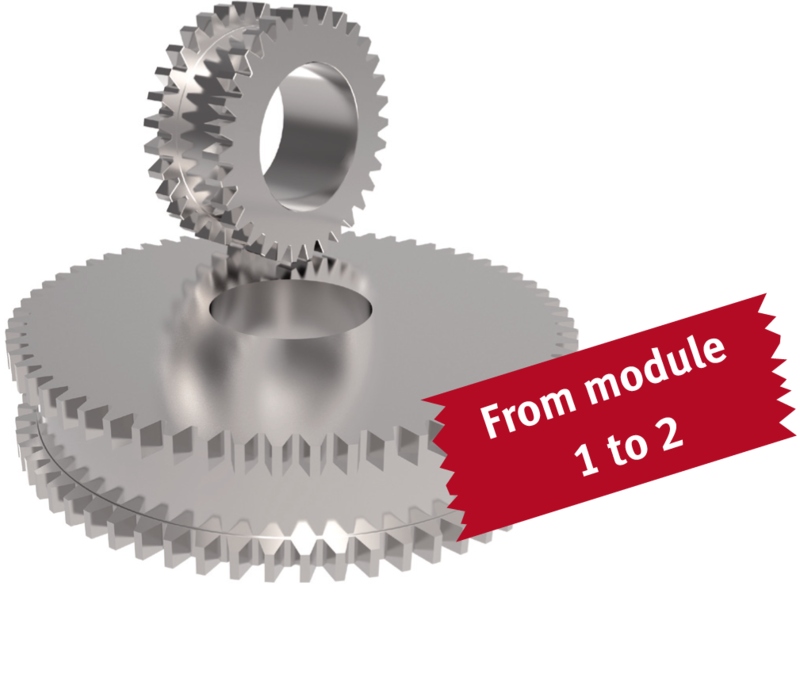 In the CHA-14A and CHA-17A hollow shaft drives, powerful CPU-M gear units are perfectly combined with newly developed, highly dynamic servomotors. High resolution, magnetic absolute rotary encoders from Lenord + Bauer are used in this series. A unique feature of the drives is the central hollow shaft that can be used to carry supply lines, shafts or even laser beams through the middle of the drive. This property significantly simplifies the design in many applications and in this way saves time during development and installation. The series with a total of eight sizes covers a torque range from 6.8 to 1840 Nm. Maximum rotational speeds of up to 283 min-1 ensure the highest dynamic performance and processing times. The CHA series is also extremely well suited to high-precision positioning tasks due to freedom from play and the integrated, highly precise absolute rotary encoders from Lenord + Bauer. Above all in machine tools, the drives must be equipped with a hollow shaft and feature high resilience and a high protection class, as well as absolute, precise positioning without referencing. Drives for the fourth and fifth axis on the machining head in particular also require a rigid output bearing arrangement for mounting the tool directly. Only in this way can a particularly compact design be achieved for the milling heads, as well as water jet cutting systems and laser cutting systems. With the CHA series, Harmonic Drive AG also has the perfect solution here. The CHA 14/17 servo drives are a further development of the FHA-14C and FHAâ€‘17C drive series in use for many years. In the new small CHA servo drives, the continuous torque is increased by around 50 percent. In addition, the new servo drives with protection class IP 65 are extremely resilient and robust. The integration of a holding brake, a resolver for usage in harsh ambient conditions and the absolute multiturn encoder kit with SSI, for use in machine tools among other areas, are further advantages of the new drive generation. In the drive design, Harmonic Drive AG places great value on the functionality and longevity of its products. These are also crucial factors for Lenord + Bauer. 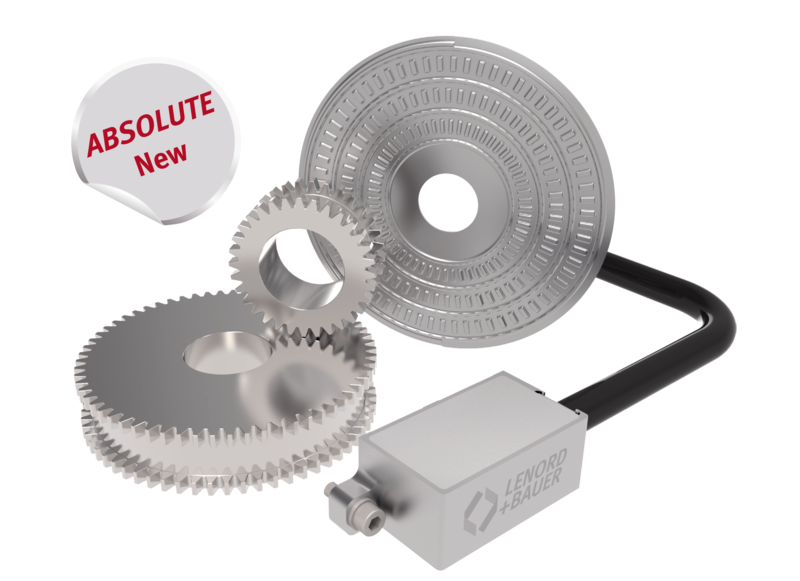 The new absolute encoder kit impresses due to its flexibility and small size. The sensor system is modified to the shaft system without application effort. In this way one sensor can be used for several shaft diameters, a real advantage in component management. The surfaces of the motor and gears are coated and protected against corrosion. This feature makes the drives particularly resilient. To protect the encoder kit, it is positioned under the magenta cover on the rear. However, its design also makes it extremely robust in relation to harsh ambient conditions. With a resolution of 17 bits in a single turn and an SSI or BISS interface, it provides the position values in the required quality. Magnetic brakes or the motor winding do not affect the values measured. For this reason the absolute MiniCODER is particularly suitable for direct mounting on motors or gears. It is a multi-talent for almost any drive solution. With the addition to the CHA series of hollow shaft drives (CHA-20A to CHA-58A) of two further sizes (14 and 17), the previous peak torque spectrum from 27 to 1840 Nm has been extended downward. The new drive series offers significant advantages for the user and addresses future and continuously increasing market requirements. As a technology leader in the area of high precision drive technology - particularly highly geared down, play-free and low play drive solutions - Harmonic Drive AG wants to further expand its market leadership also in the coming years. 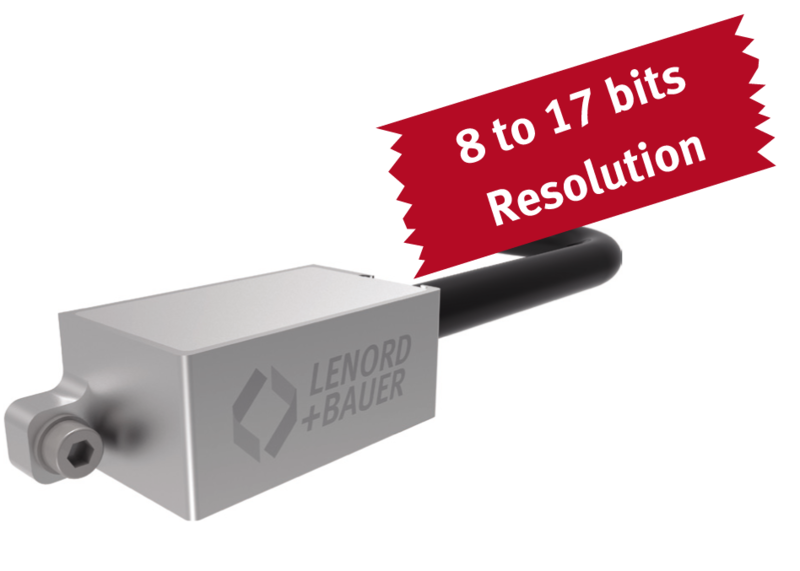 The advanced, scalable encoder kit system from Lenord + Bauer will provide additional market opportunities during this process due to the optimised component management. The core competence of Harmonic Drive AG is the development, manufacture and marketing of installation kits, gearboxes, servomotors, servo and special drives in various series and sizes. Here the organisation relies on innovative, technologically mature series production products as well as customised system solutions devised with customers and specifically tailored to their needs.